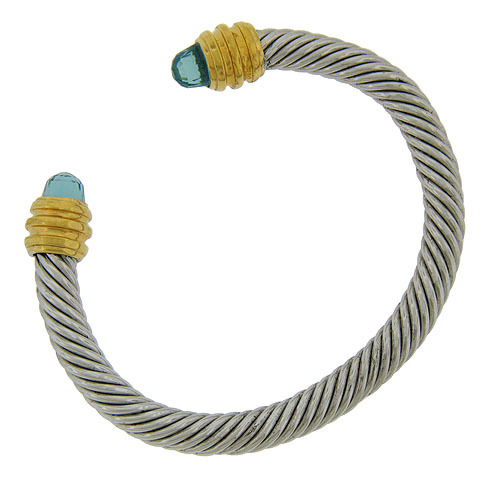 This handsome sterling silver bangle bracelet features a bold twisting cable of sterling silver, tipped in a triple band of 18K yellow gold. Multi-faceted blue topaz briollettes are presented in the yellow gold rings. 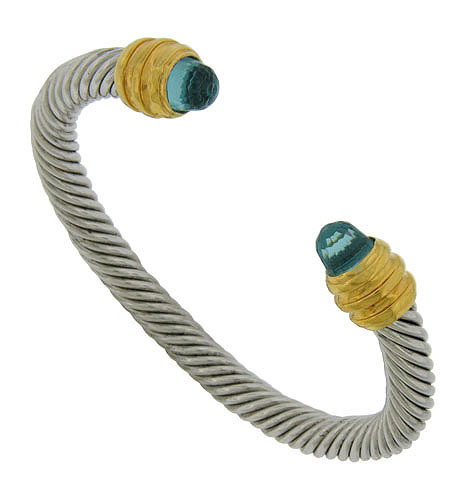 This antique style bracelet measures 5 1/2" interior, 1/4" wide.